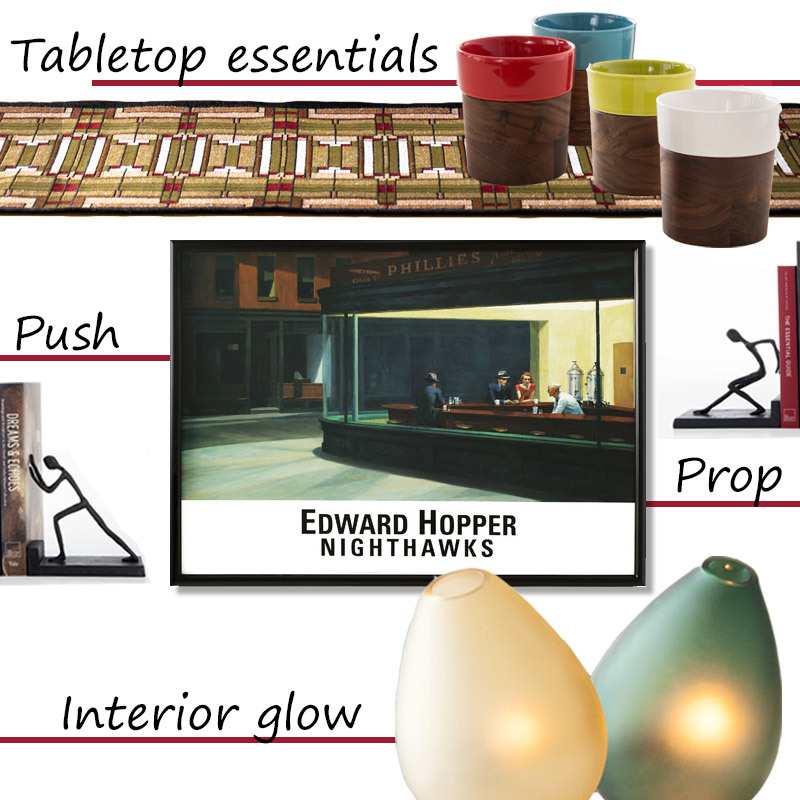 Edward Hopper’s Nighthawks is timeless, an artwork that transcends its period and location. What seems simple and straightforward on the surface is imbued with depth and meaning in this postmodern take on a New York City diner. Meant to provoke thought and conversation, Nighthawks is the type of centerpiece that feels both familiar and exceptional. Whether you’re incorporating it into your existing décor or looking to surround it with the right accents, there are many ways to draw from its composition and accentuate its meaning into the design of a room.